On the surface, there doesn’t seem like Plunder Road has much going for it. No big name stars, a low budget, and a second string Turkish director with a total output of eight films. But holy hell, this is one remarkable slice of noir. 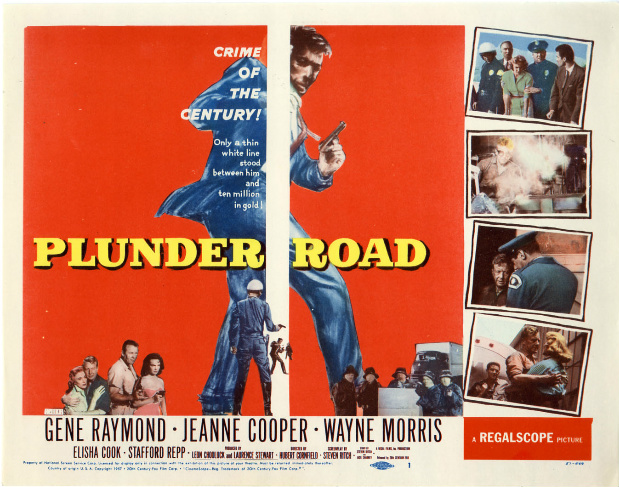 From the opening sequence in which a cast of hardboiled crooks pull off a multimillion dollar heist in the pouring rain, to the impossibly tense freeway climax, Plunder Road is one mean little film. Everything superfluous has been stripped away. Dialogue is scarce. Characterizations and back story are vague. All that’s left is an astounding exercise in crime and punishment.